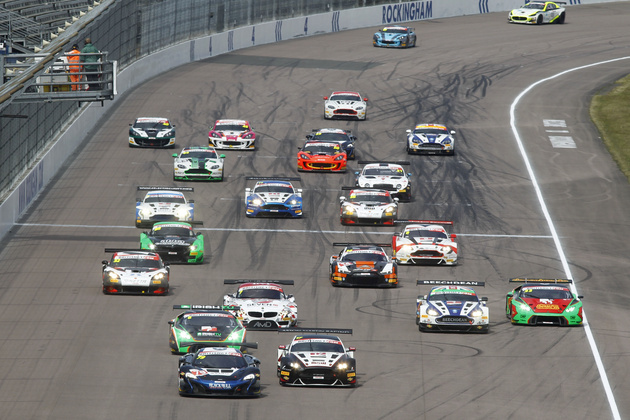 The 2016 British GT Championship draws to a close with the final meeting of the year at Donington Park on the weekend of September 10 – 11. The meeting will comprise of a two-hour race on Sunday September 11, in contrast to the two one-hour races format which fans enjoyed at a sun-drenched Snetterton on August 7. Championship leaders TF Sport will want to capitalise on the experience and speed of 2015 British GT GT3 Drivers Champion Jonny Adam, the fierce determination of Derek Johnston and the confidence of Mark Farmer and Jon Barnes after their victory at Spa. The fight for the GT3 Teams Championship will be a fascinating battle to follow over the final 120 minutes of the season. Battling for third and fourth places in the GT3 Teams Champion will be Team Parker Racing with the #33 Bentley Continental GT3 driven by Rick Parfitt and Seb Morris and the #7 AMDtuning.com BMW Z4 GT3 with the driver pairing of Lee Mowle and Joe Osborne. Team Parker Racing currently has the advantage on 120.5 points, 24.5 ahead of AMDTuning.com. The #33 Bentley Continental GT3 has shown pace all year and the driver line-up of Parfitt and Morris has been a revelation. However the #7 BMW Z4 GT3 showed what it can do with the win in Round 6 and the dog-fight at the front of the field in the first race at Snetterton. Mowle and Osborne will be on a charge, no doubt, going into the final round. The drivers of the #33, #17 and #31 cars will all be going to Snetterton hoping to secure the GT3 Drivers Championship. The #33 Barwell Motorsport Lamborghini Huracán driver line-up of Jon Minshaw and Phil Keen currently lead the standings on 147.5 points, just 11.5 points ahead of Derek Johnston and Jonny Adam, drivers of the #17 TF Sport Aston Martin Vantage GT3. As with the GT3 Teams Championship, Barwell Motorsport will have momentum after the double win at Snetterton but Johnston and Adam will fight every centimetre of the way, knowing that the Aston Martin Vantage GT3 has proved a race-winning car throughout the season. Rick Parfitt and Seb Morris, in the #31 Team Parker Racing Bentley Continental GT3 are only 27 points behind Minshaw and Keen and just 15.5 points behind Johnston and Adam so will certainly go to Donington knowing that second place in the Drivers Championship is well within their grasp and outright victory is not inconceivable. If GT3 Teams and Drivers Championships look close, then the GT4 Teams Championship is closer still. RCIB Insurance Racing leads the standings on 161 points, just 13 points ahead of Beechdean AMR. PMW World Expo Racing / Optimum Motorsport is only five and a half points behind Beechdean AMR, an astonishing feat considering it is competing with just one car. After low points-scoring results at Snetterton, RCIB Insurance Racing will be very focused on a solid run at Donington Park. The decision of Beechdean AMR to withdraw its GT3 entry and move Ross Gun to partner Jack Bartholomew in the #407 Aston Martin Vantage GT4 looks to be inspired after Gunn and Bartholomew won in GT4 at Snetterton. 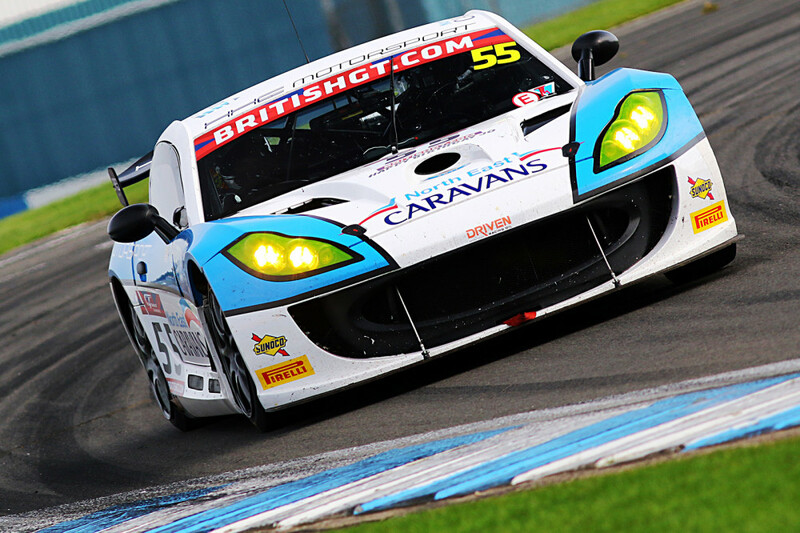 Paul Hollywood, partnered with Jamie Chadwick in the #408 car, will have a lot to concentrate on at Donington to support his team if it is to bring home the title. 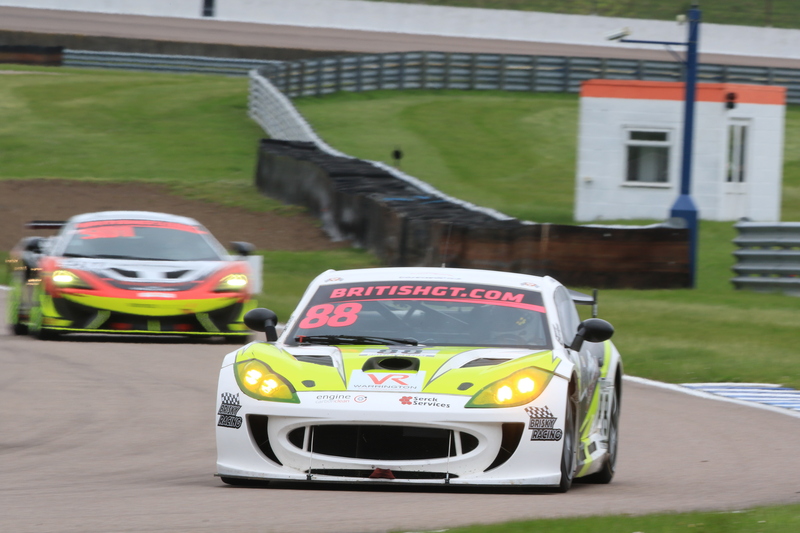 The GT4 Drivers title will also be a scrap to the flag as Graham Johnson and Mike Robinson in the #50 Ginetta G55 GT4 PMW World Expo Racing / Optimum Motorsport entry are only two and a half points ahead of Beechdean AMR’s Jack Bartholomew. 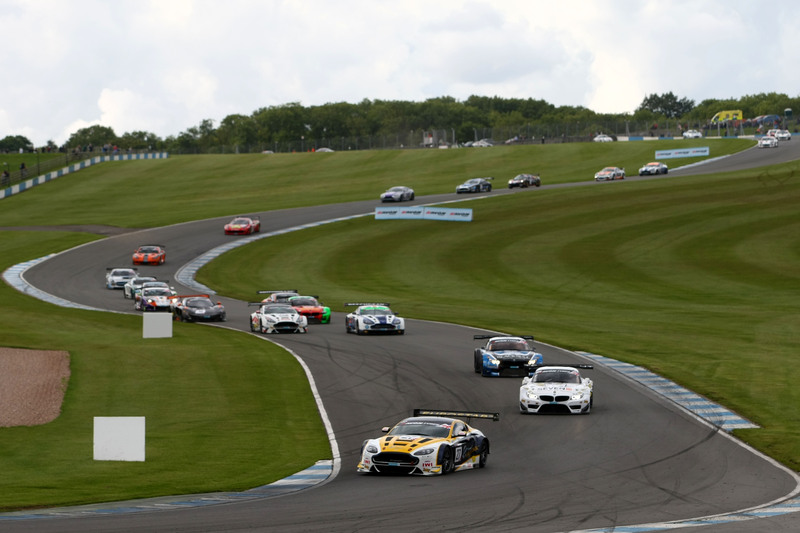 Round Nine of the 2016 British GT Championship will be held at Donington Park on September 10/11. Tickets for the weekend start at £20 and, for any sportscar fans, this is an event that should not be missed. The lights go out for the race at 1.00pm on September 11.